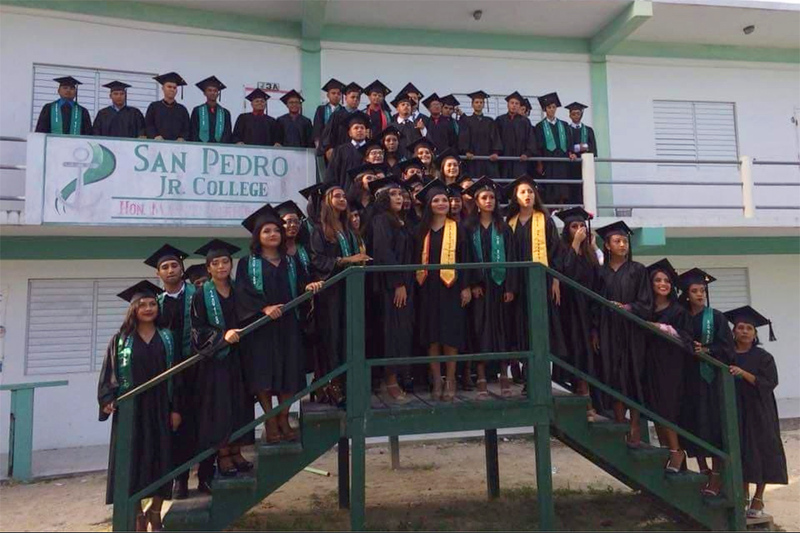 With only 18 years since its founding, San Pedro Junior College and is sister organizations (SPHS and SPACE) continue to set new records and landmarks in their operations. This year marks its 17th graduation and a record number of 71 graduates marched out the aisle of the R. Angel Núñez Auditorium with their Associate Degrees on Saturday, July 7, 2018. Another notable achievement is that Galen University has accepted accreditation of the institution for the easy transfer of credits for transfer students. Dean Mr. Gustavo Ellis also announced the commencement of science courses beginning this new school year. A notable proud moment was the mention by various speakers that graduates of San Pedro Adult Continuing Studies (SPACE) are placing in the honor roll at SPJC including the second highest grade in the person of the salutatorian. The three highest academic achievers in this Year's graduation were Virginia J. Vasquez, valedictorian; Nancy Navarijio Ortega, Salutatorian; and Marissa Kayleen Gonzalez, Vote of Thanks. Speakers at the ceremony included Ms. Odilia Caliz, guest speaker; Hon. Manuel Heredia, Gustavo Ellis, Dean; Chairman of the Board Andre Perez, and the patrons Martha Leslie Forman and Lizette Alamina Gutierrez. The three institutions this year together graduated 188 students, a historic record when we note the 10 persons who graduated in 2001. Ambergris Today salutes these three institutions of learning under one umbrella. Greater things are in the pipeline.